Bloomingdales offers $25gc with Every $100 Armani purchase. 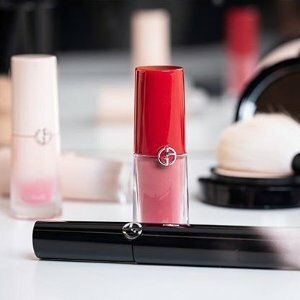 Receive a deluxe sample of Rouge d'Armani Matte Lipstick in #400 with any $75 Giorgio Armani beauty purchase. Giorgio Armani Crema Nera Extrema 1.7 oz.